This post is dedicated in merit that Hershel ben Etya Sarah have a yeshuah. Before I begin defining what a bad influence is, I will clarify what the word 'bad' means. According to Judaism, the dichotomy between good and evil has no substance. There is only G-d and G-d's creation of our ability to ignore Him. We call the activation of this ability absence of G-d. Anything that you label evil is called such because it is where G-d's presence is not felt. Consequently, certain questions pop up from time to time: "If G-d is in charge, then how come people cannot see Him?" Or, How is it possible for people to choose not to notice?” Also, “If people are able to ignore G-d, does that mean He's not actually The Boss?" These questions all boil down to one point: how can G-d and "evil" exist simulatiously? In keeping with classic Jewish mussar (from the mussar movement) the questions are bounced back to the questioners with another question, "If we were able to feel G-d's presence all the time, without any sort of effort on our parts, what would our power of free will be worth?" Our Rabbis maintain, "We were placed in this world to come close to G-d. He gifted humanity with the quality of free will since our system of reward correlates with the effort one exerts with making good choices." Thus, the question of whether G-d has full control of the world or not no longer stands. He makes it like this on purpose. So, what is a bad influence? He is someone who make choices which remove himself as well as his friends from proper awareness of G-d. The most foundational of bad influences is the apikoros (heretic). Regarding him, the Chofez Chaim tells us that it is actually a mitzvah (commandment) to shun and speak loshon hara about him. Why? A heretic, one who denies the Torah (either the Oral and/or the Written law) and the prophesies of Israel, is branded by the Jewish community. Even if he protests that he believes in The Bible, except for this verse or that precept, he is still considered worthy of excommunication. What's so criminal about a man's not believing that just one item, even one letter, of the Torah was divinely ordained? Our Rabbis of blessed memory say that he is cutting himself off from his purpose, which is to behave according to the Torah's laws. Even if he follows the strict letter of the law, and perhaps does more than his fair share, his corrupted thinking eventually infects and alters the people around him i.e. his friends, family, descendants etc. Hashem exempts such a person from receiving a portion in The World to Come (the afterlife). 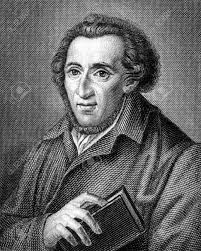 Think Moses Mendelssohn, the grandfather of the Reform movement. His personal belief system, that one can be a Jew at home but should have the appearance of a non-Jew in the street, with the aim of blending in with his surroundings, ultimately coaxed Jews to leave the ghettos where they walked straight into the arms of the Church. While Mendelssohn was by no means a confounder of G-d or the Torah (he actually spent much of his time defending the Truth of Torah) he did encourage Jews to consort with those who were. Maybe that's why most of his children ended up Christian converts. Is it any wonder that the Chofez Chaim exhorts us to avoid these guys like the plague? It must be noted, however, the above example demonstrates that the heretic doesn't necessarily come in anti-religious packaging. He's not the crazy man screaming, "I'm an apikoros and I'm proud." He might just be your regular Joe-up-the-block; there's nothing shockingly irregular or out of place about him. Sometimes, we are quite surprised to hear, "Oh, Joe's a heretic?" Therefore, if a friend of yours is trying to make you aware of the ill goings on in Joe's life, the Chofez Chaim lets you know that the only leeway he has to speak badly about Joe is if Joe has been openly and/or knowingly breaking or denying parts of the Torah. Another disclaimer: it's difficult to label people apikorosim (heretics) nowadays; after all, in order to become worthy of the title, one has to have a total grasp on the Torah as well as its laws first. Most people (generations after the advent of the Enlightenment and the lowering of religious standards) have fallen into the category of tinok shenishba (a child who was captured by gentiles). If one was raised with a lack of knowledge or understanding for what our heritage entails Hashem [G-d] removes him from all responsibility. Once he knows a little, though, he must make his business to know more (go call your local kiruv organization/Chabad Rabbi). The Chofez Chaim command us to be careful; people tend to jump to conclusions about situations they don't fully understand; do not abuse this rare exception to shmirat haloshon. The Chofez Chaim told us to stay away from bad influences, not to become one.